One of 2017’s most anticipated openings: Nobu Hotel Ibiza Bay is set to open on 30th June. Located on the shores of Talamanca Bay, the sophisticated yet fun-loving beach retreat will be like nowhere else in Ibiza. 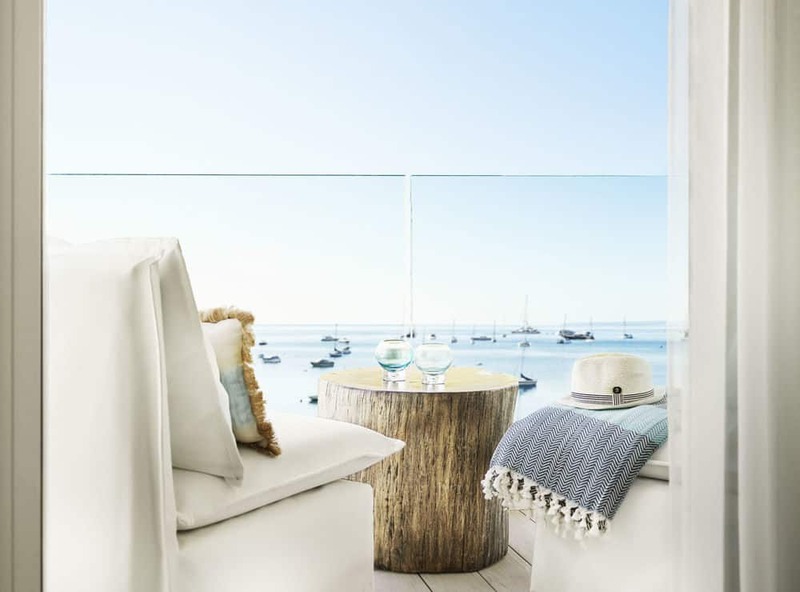 The Balearic Island’s most exciting new luxury five-star resort, Nobu Hotel Ibiza Bay, a member of the globally recognised Small Luxury Hotels of the World™ (SLH), is set to open on 30th June 2017. Ibiza Bay is designed to be the ultimate playground for grown-ups. The Ibizan style rooms and suites, two private seafront pools, restaurants, spa, boutique, adult and family experiences have been carefully curated to provide guests with the finest, authentic island escape, without ever having to leave the resort. Savour Nobu Matsuhisa's signature Japanese fusion dishes, as well as special creations inspired by Ibiza itself at Nobu, the resort’s signature restaurant. Chambao, in collaboration with El Chiringuito de Es Cavallet is Ibiza Bay’s laidback chiringuito. The freshly prepared seafood is as much of the attraction as the cocktails and beach vibe. At night, Chambao is the place to be for chilled-out parties with family and friends. The Peyote Group is bringing the vibrant spirit of modern Mexico City to Ibiza with its contemporary and refined take on renowned Mexican food. For those looking for healthy fare, the deliciously wholesome café Celicioso will recharge guests with mouth-watering gluten-free cuisine, nourishing juices and superfood salads. Ibiza Bay brings the first Six Senses Spa to the island. Mindful journeys, indulgent treatments, a yoga pavilion, state of the art gymnasium, blow dry bar, manicure/pedicure salons and indoor cabins, outdoor roof terraces & beach cabanas allow guests to spa wherever they desire.